Play to Learn at Charles Wright! Home/Blog/News/Play to Learn at Charles Wright! Play to Learn is a free program for children and adults to play together! 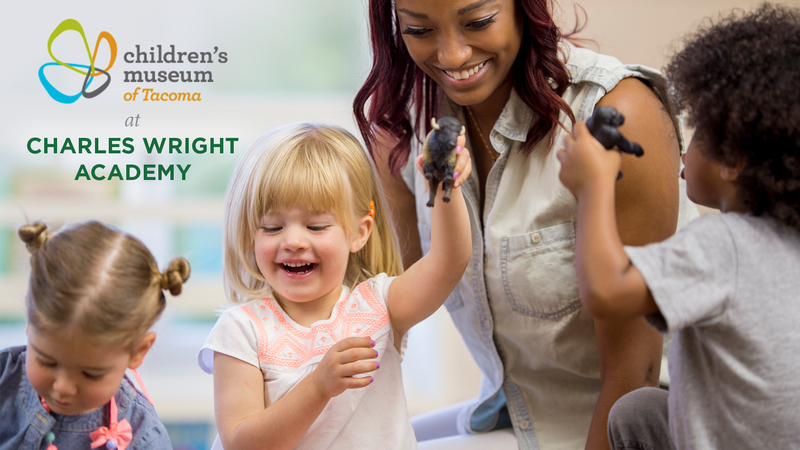 Charles Wright is hosting, in partnership with the Children’s Museum of Tacoma, Play to Learn on Tuesdays from 10 – 11:30 a.m. in the Lower School commons starting on October 2. Quality early learning experiences lead to long-term success in school and life. Play to Learn is for parents, grandparents, neighbors, family, and friends who nurture children ages six and under. Thematic curriculum invites individual play, fun group activities, songs, and a whole group circle time for children and adults to enjoy together. Join us every Tuesday, starting on October 2, as we play to learn, to grow, and to thrive!